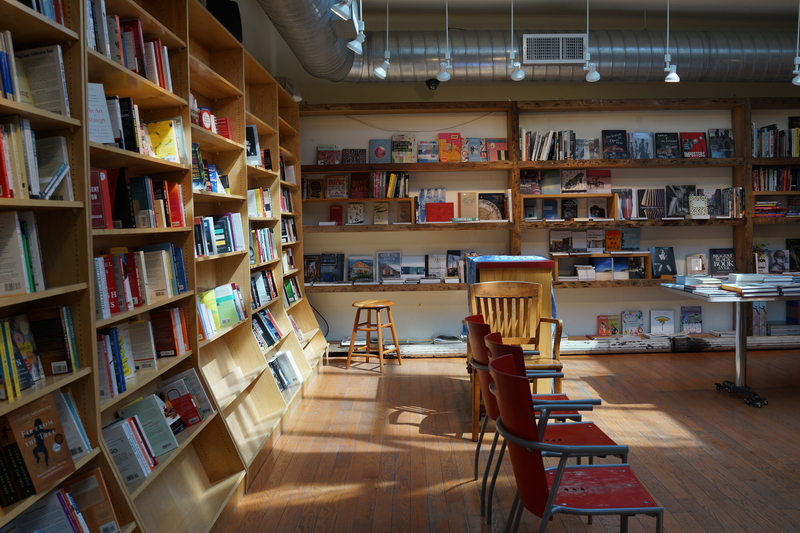 I sneakily found a way to secretly spend the entire afternoon in the sunlight – one third in a coffee shop filled with keys, one third in a book store filled with light, and the last third on a bench outside an ice cream parlor filled with vinyl records. Curiously, I talked to three different men all sharing the same name at each place. There’s a pattern here. And it matters. I went underground, appropriately, as I read about Persephone. I saw a ghost of my past sitting in one of the seats. Then, what was left of me that hadn’t already melted from sunlight and history promptly fell to pieces as I read the rest of it on the way from Bergen Street to Court Square. Dean Young said once that poetry is an art of beginnings and endings. If you want middles, read a novel. If you are going to attempt it. I confess that reading poetry is REALLY hard for me, too. I don’t often have the patience to read more than a fraction of a poem. I *almost* wanted to post the last line of this excerpt, but that would ruin everything. We shouldn’t reveal the endings of things before it is appropriate, should we? Try treating this one like meditation. Go very slow. Allow yourself to pause when you want to. But read it the whole way through. I usually only post small stanzas or quotes because they are the most relevant, and I thought about including a “tl;dr” for this one, but this entire excerpt is relevant. The relevance of the entire body that is only a part of a whole. what my heart looks like, half upside down, but also curiously like something resembling “yin yang.” which means it will become that, soon. originally posted before my birthday two years ago. on a whim, we drove out to Montauk on Valentine’s Day. despite all of my heart’s recent attempts to be numb, i have always found the beach at winter time to be incredibly romantic. of course this has everything to do with a romantic comedy. so much of it was spontaneous, yet entirely significant. i didn’t remember until we were on our way there that Joel and Clementine meet on a chilly Valentine’s day in the famous first scene of Eternal Sunshine of the Spotless Mind. in fact, one of the first lines of the movie is Joel’s gripe about how Valentine’s Day is created by greeting card companies to make us feel crappy. the day turned out to be more beautiful than Joel could have planned. we got closer to the ocean, and i watched the horizon turn blue at the bottom edge. there was ice everywhere and the wind was biting, but i no longer felt cold. my heart felt lighter as i walked towards the water. it was freezing as i put my hands in it, and we laughed with delight as the cold waves chased us. as we walked along the beach, the silence had a gravity to it that was at once sobering and thrilling at the same time. hopeless, and hopeful in the same breath. and then it began to snow, and i couldn’t stop wondering at the beauty of it all. singing loudly in the car with the heat turned way up. beautiful snow coming down furiously. watching the New York City skyline reappear. whiskey and live music to end the night. i grinned at the violinist as he was tuning up. he grinned back and i felt silly that, like Joel, i never believed the day invented by greeting card companies could be beautiful despite all the attached meaning that comes with it. and then there were the things that i have been generally terrified of, like the bitter cold and freezing winds and snow storms, coming together to help me believe that any fear can be overcome. so there we were. stripped of attached meanings. hope against hope. fear against fear. years of “meet me in montauk,” and the day that fulfilled.